The Memphis-bred Three 6 Mafia MC's got you covered when it comes to turkey chops, butter cake, and a taste of southern living. 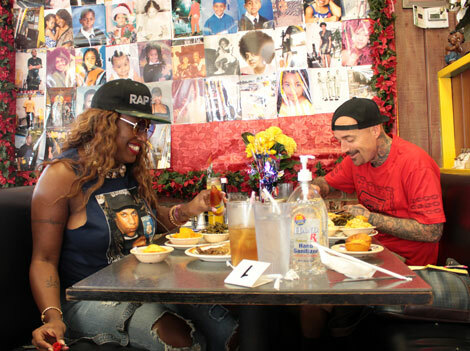 It’s a Friday afternoon when rapper Gangsta Boo pulls into the parking lot of a soul food restaurant in Inglewood. The Tennessee-raised MC—who was the first (and only) female member of Three 6 Mafia—is wearing jean overalls, an Eazy-E t-shirt, and a snap back hat with the words “Rap Fan” emblazoned on the front. Her boyfriend Emmett, a Playa Del Rey native, is in tow, she explains, because today’s his birthday, and she didn’t want to leave him alone. Besides, it was Emmett who introduced her to this very spot, bringing her one step closer to finding comfort thousands of miles away from Memphis. Boo and her boyfriend walk into the restaurant and choose a booth in the corner next to a wall plastered with photographs. “I normally don’t eat soul food this early,” says Boo. But as she picks up the dense 12-page menu and starts flipping through it, she confesses that she’s actually rather hungry. 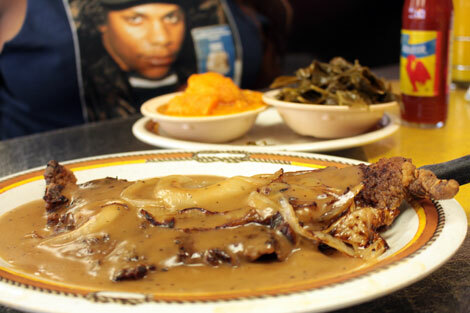 Here are three Gangsta Boo-endorsed soul food spots to keep on your radar. 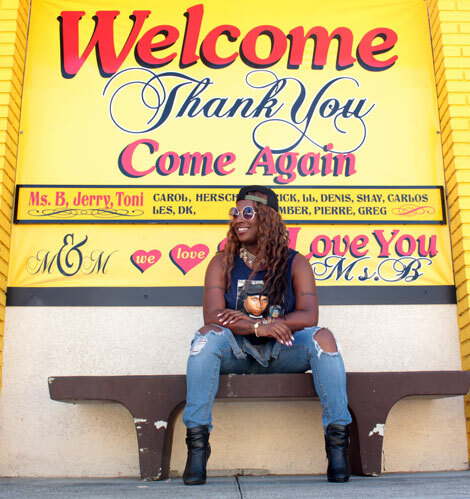 Though it’s a long drive from the Valley, Gangsta Boo believes the schlep to this Inglewood establishment is worth it. The interior of the restaurant evokes Mardi Gras season, with gold ornaments hanging from the ceiling, beaded necklaces pinned on the walls, crystal chandeliers, and lots of colorful accents. License plates from Mississippi line the walls, as well as photos of regular customers and celebrities who have visited the place (shout out to Conan O’Brian and Jesse Jackson). 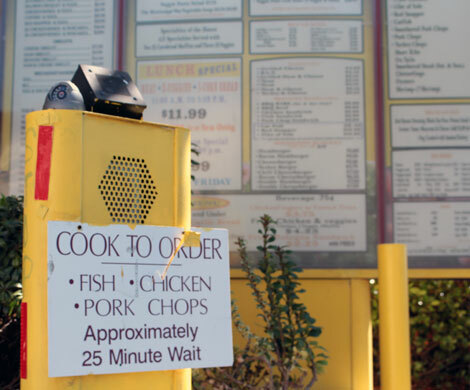 Ms B.’s also has a drive-thru window that’s always busy on Sundays. In stark contrast to Ms. B’s M & M’s Soul Food is Carolyn’s Kitchen in Florence. Minus a few tables and chairs scattered about, this is primarily a take-out spot. “It’s sometimes just easier to get your food and go,” especially when the lines can be daunting. 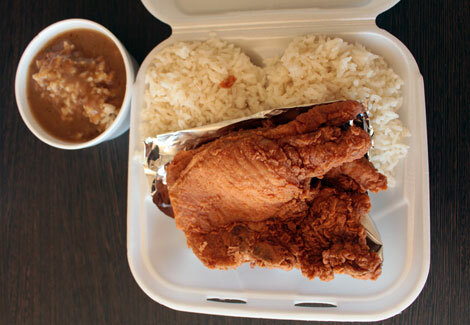 My Two Cents, located in the heart of Mid-City, pushes soul food in an entirely different direction. 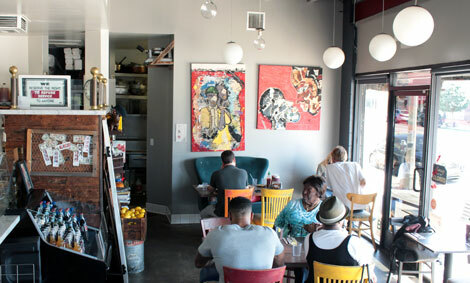 “It’s like L.A.’s interpretation of soul food,” she says, “and even though it’s not traditional, the food is really unique and good.” In fact, Gangsta Boo is not the only musician who loves this spot—Pharrell and Common are also fans, and the restaurant even catered the Adidas VMA’s after party this year. Here you’ll find all the staple soul food dishes, but with (usually) a health-conscious twist. 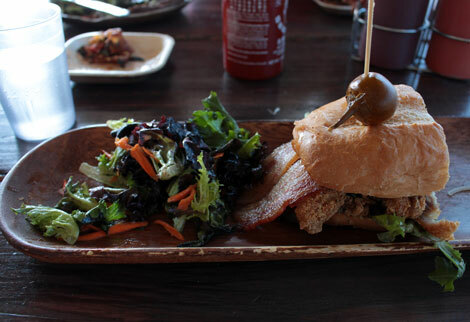 The BBQ chicken is made in a gluten-free batter, and oxtails are prepared as tacos. Instead of regular black eye peas, they serve black eye pea hummus, and a lot of the dishes are vegan, too.